EghtesadOnline: Energy Minister Reza Ardakanian says the electricity export bill to Iraq over the past 15 years amounts to $6 billion. "The neighboring country has paid $5 billion of and the rest is being cleared as per a memorandum of understanding signed between the two sides," he said, ISNA reported. In recent months there have been unconfirmed reports about differences over the remaining one billion dollars and Baghdad’s inability to pay. Without referring to the rumors and reports, Ardakanian went on to say "there is no such thing as free electricity export". According to the minister, Iran remains committed to electricity exports to its neighbors, in particular Iraq “unless peak domestic demand puts the national grid under pressure in which case exports will discontinue” for limited periods, Financial Tribune reported. He said the Energy Ministry will continue selling electricity so long as buyers uphold their financial commitments and pay their bills, which can also be in installments in some cases like Iraq. The minister reiterated that “there is no hurdle” in transfer of money related to the power exports. The new US economic sanctions have added pressure on exporters and importers in terms of banking transactions. Ardakanian said Iraq's Minister of Electricity Luay Al Khateeb is expected to visit Iran and the two sides would discuss cooperation in rebuilding the Arab state’s power infrastructure after almost four decades of war, civil strife and terrorist attacks that have destroyed large parts of the country. 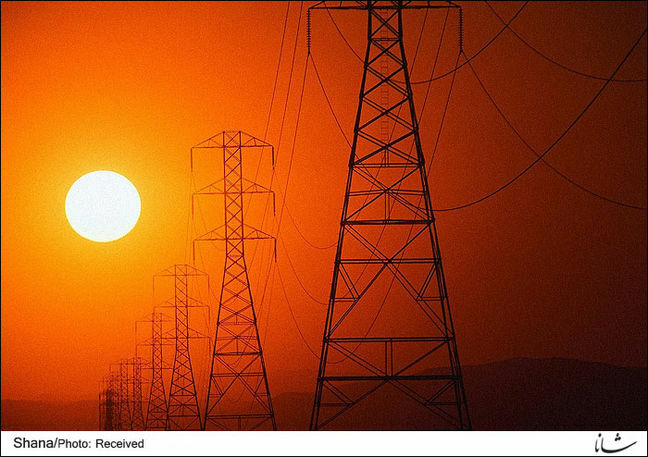 Iran's electricity industry ranks 14th in the world in terms of output and 19th in consumption. Iran's power generation capacity is around 82,000 megawatts, over 68,000 MW of which comes from thermal power plants that burn fossil fuels along with hydropower plants (12,000 MW), Bushehr nuclear plant (1,000 MW) in south Iran, distributed generation stations (1,500 MW) and renewables (less than 1000 MW). The government is striving to bring online 5,000 MW of new power annually through 2022 that coincides with the last year of the Sixth Five-Year Economic Development Plan.